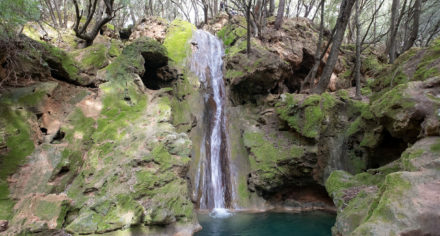 It takes a bit of an effort to get to Galilea but it’s sure worth a visit. 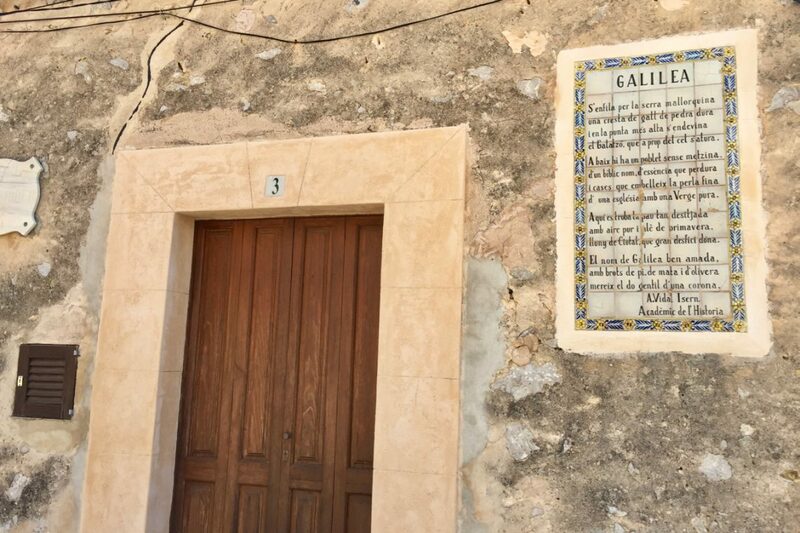 The small town with the biblical name is the highest on the island, not Deià or Valldemossa as you might expect. 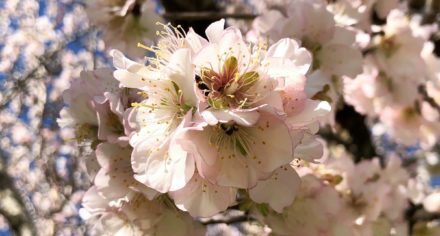 Southwest Mallorca is the perfect region to start the new cycling season: it gets the most sun and it is sheltered from the Mistral so nature is already in full bloom. Coming from Palma I take the street up to Coll de Sa Creu and via Calvia to Es Capdellà. The name (literally ‚the very end‘) nicely suggests that you have left the city behind for good. 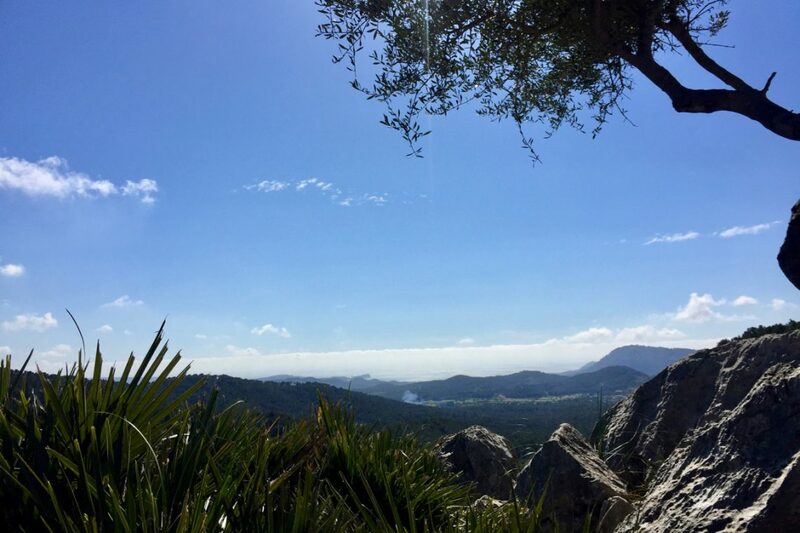 This is where the mountains begin, and near Galatzó is not only a beautiful landmark but also one of my favorite hiking spots. From Capdellà, it’s a long and winding road up to Galilea but I really love the challenge. There is a spectacular view after each and every serpentine until the first houses suddenly appear. Most of them are facing south and have breathtaking sea views. I never pass the village without a detour to the tiny church square – the vista is just fabulous. And the terrace of Ca n’ Andreu (aka Bar Parroquial) is a popular destination for cyclists and hikers alike. Inside, you’ll see a film projector and movie posters – Andreu and Mercedes are true cineasts. 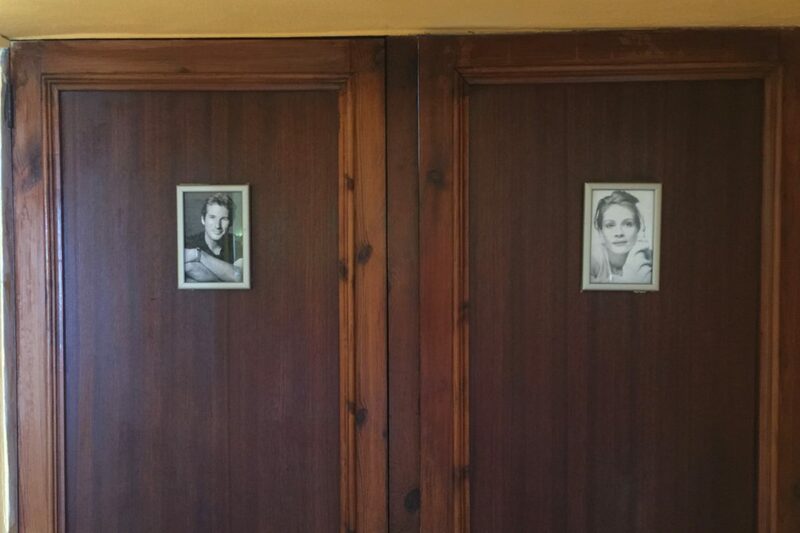 Accordingly, the bathroom doors are marked with pictures of Julia Roberts and Richard Gere. I always hesitate a second before I remember to go for Julia. 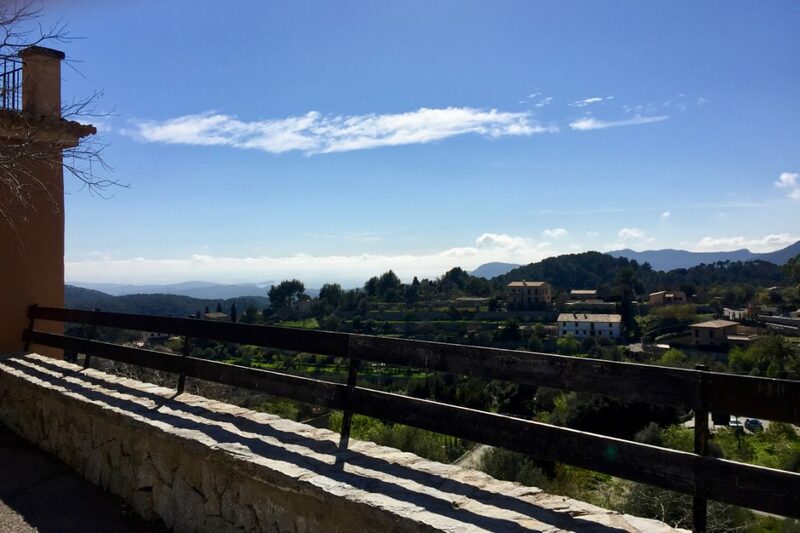 From Galilea on, the tour is pure joy: the road meanders all the way down to Puigpunyent. 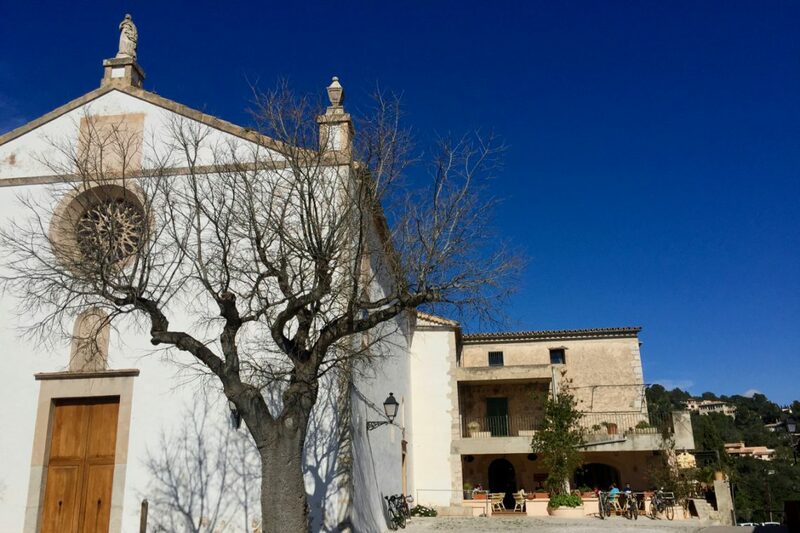 The picturesque town is another great place for a stopover before you venture further into the Tramuntana. 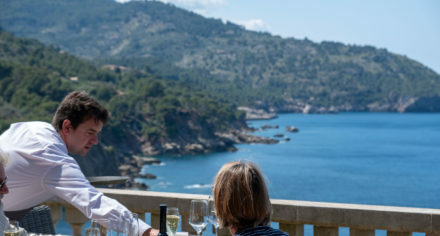 Once you have climbed up Coll des Grau the terraces of Banyalbufar, proud Valldemossa or authentic Esporles lie ahead. 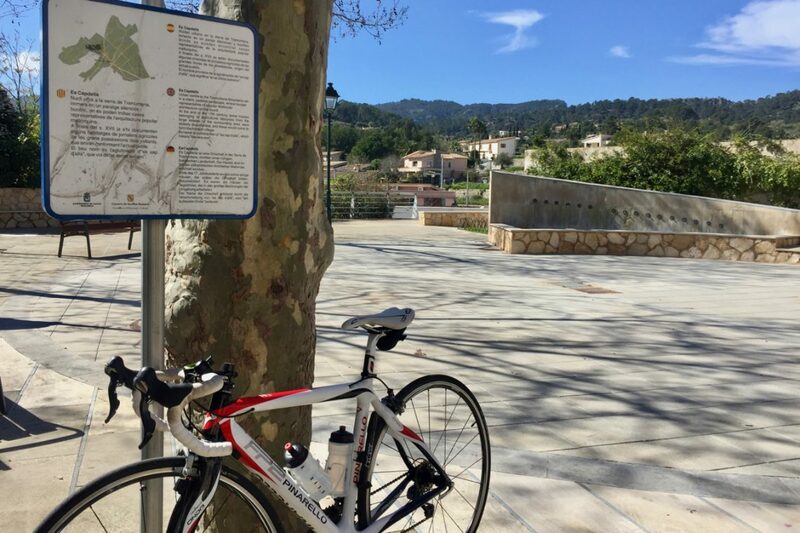 This time of the year the streets are still rather quiet, so now is the time to get on your bike and explore the mountains and the beautiful Tramuntana villages. They are all yours to discover.